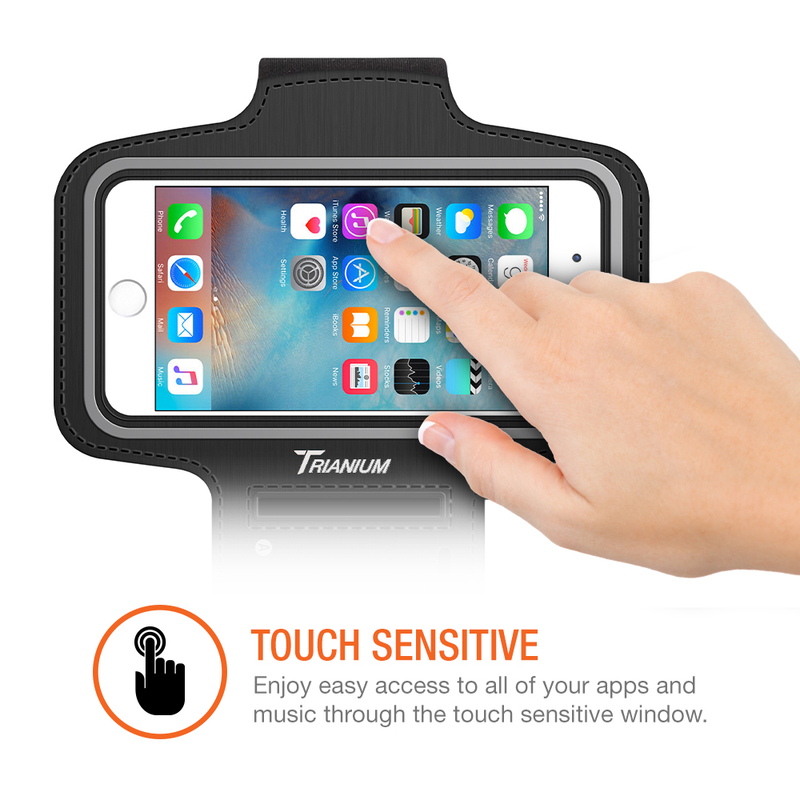 SKU: TM000012. Categories: Armband, iPhone 6/6S Plus 5.5", iPhone 7 Plus. 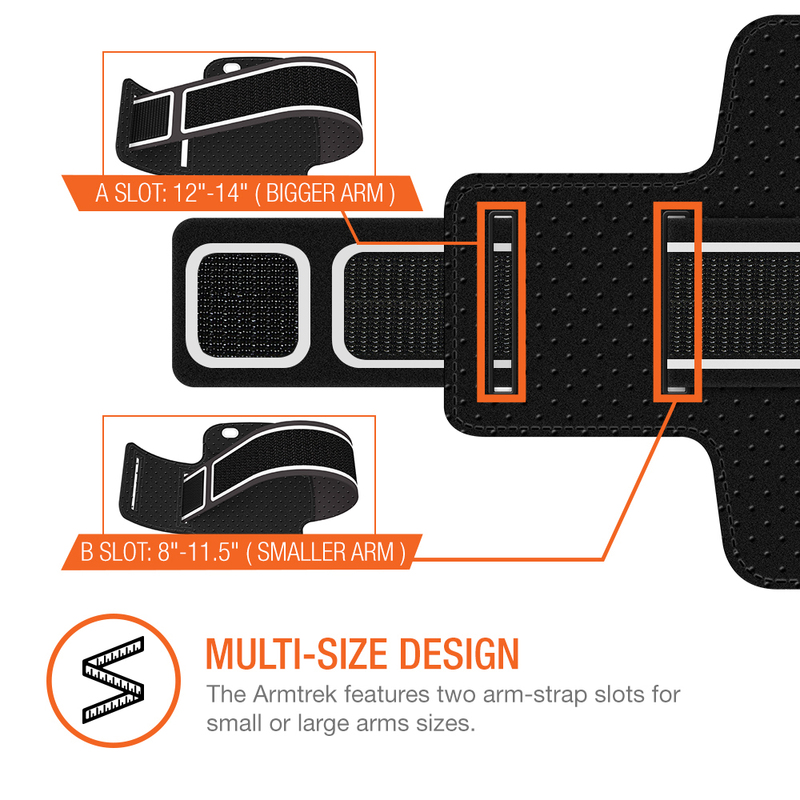 Tags: ArmTrek Pro Series, ArmTrek Series. 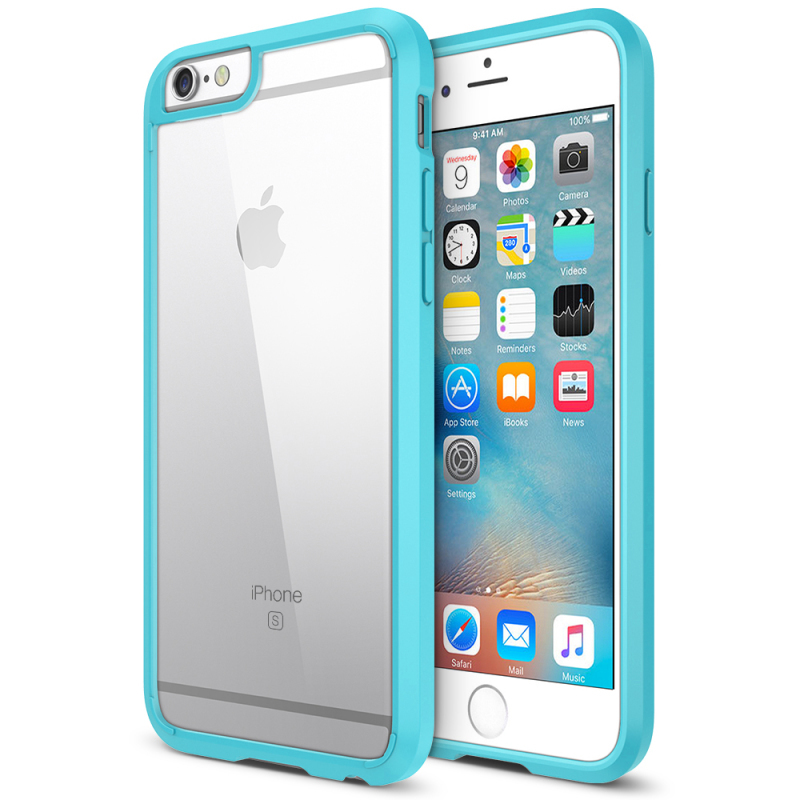 PREMIUM MATERIALS & Universal Sizing: Made of stretch resistant neoprene. 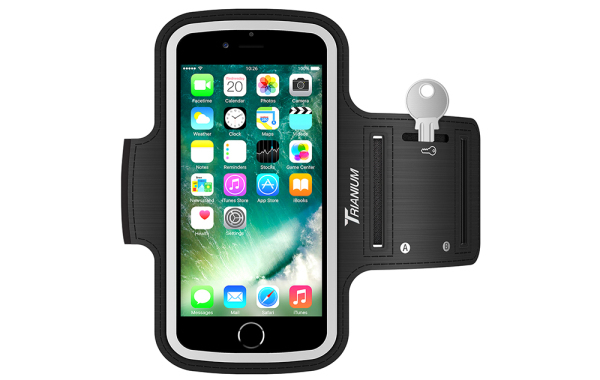 The Trianium ArmTrek Armband case for large smartphone easily bends, flexes, twists, and folds without warping. 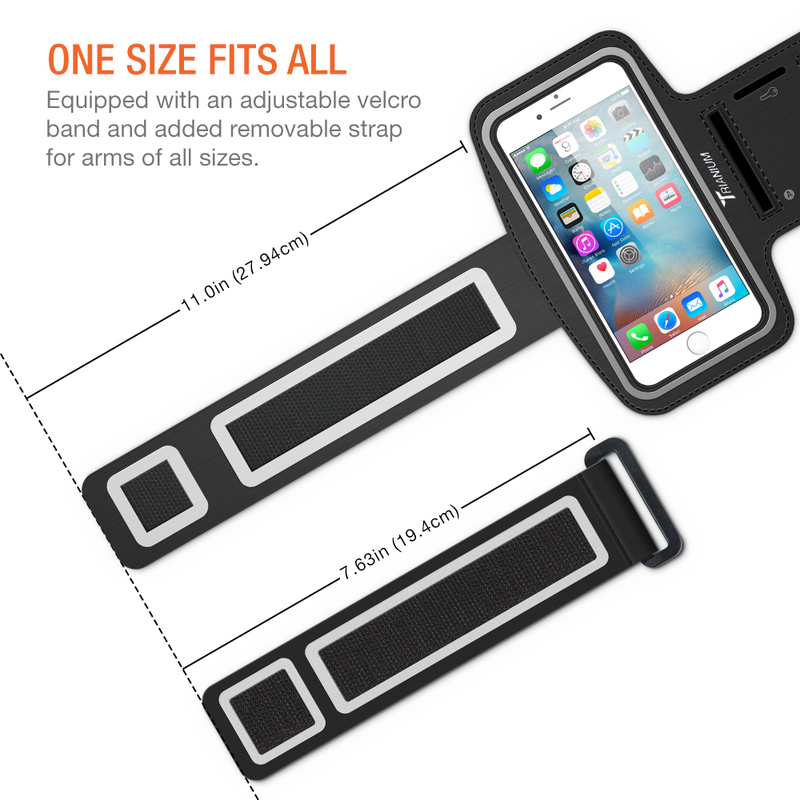 Multi-slot Adjustable Velcro iPhone Armband Will Fit Almost Any Arm Size Up To 14″. 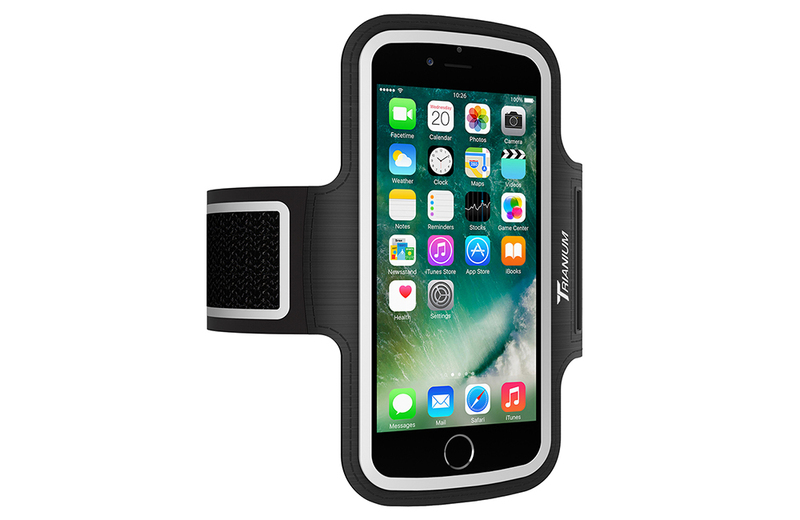 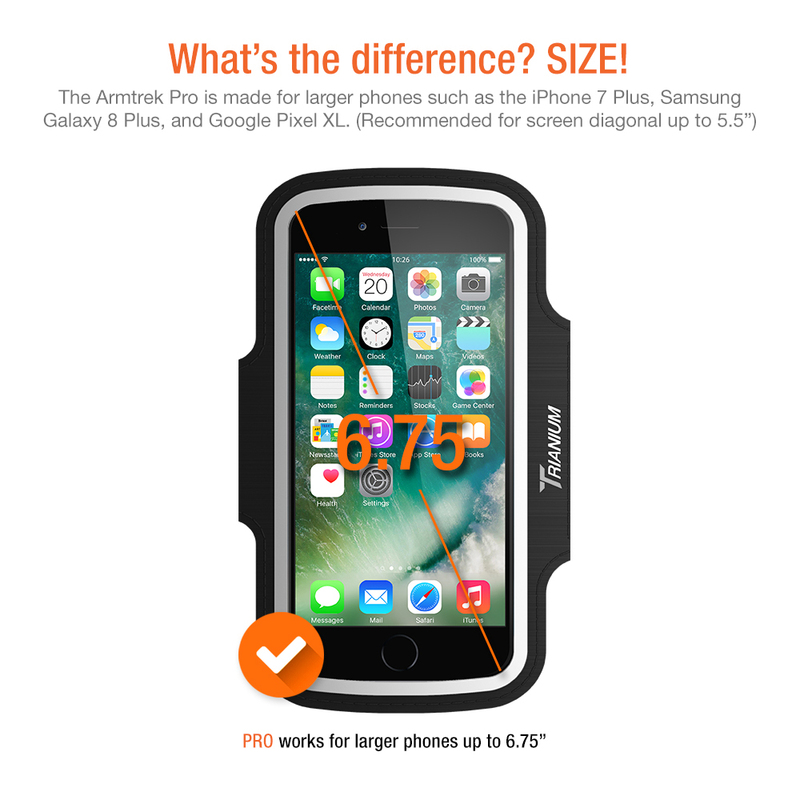 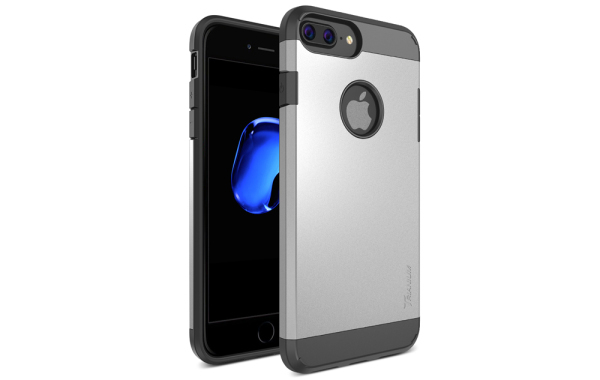 TOUCH SCREEN COMPATIBLE: Enjoy the full use of your iPhone 6/6S through the protective screen cover on the armband with fully touch compatible, easily answer calls, manage your playlist, or activate your stopwatch without removing the phone. 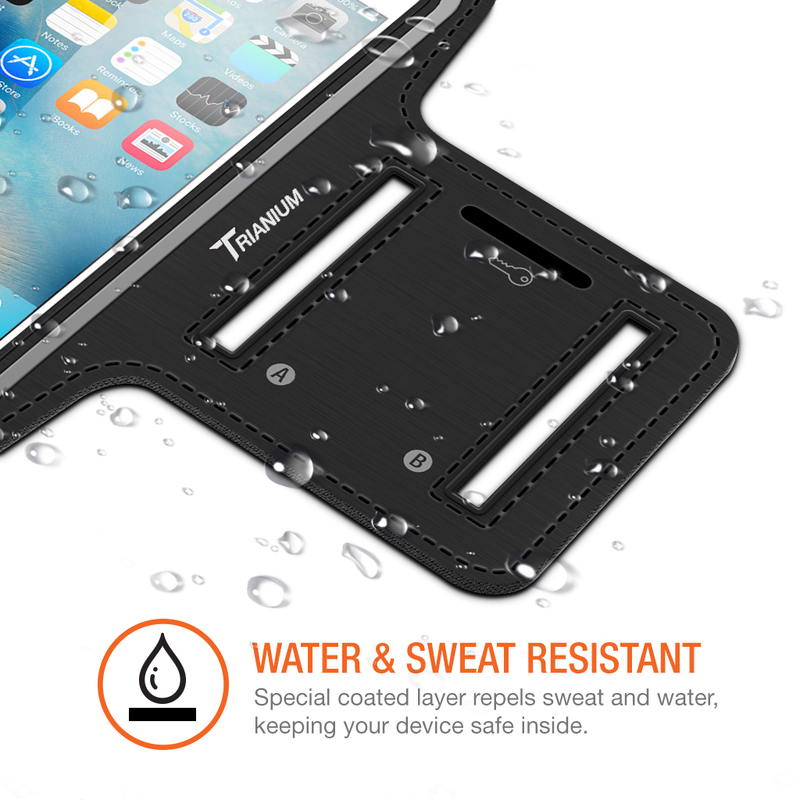 EXTRA FEATURES: Water resistant design protects against water and sweat. 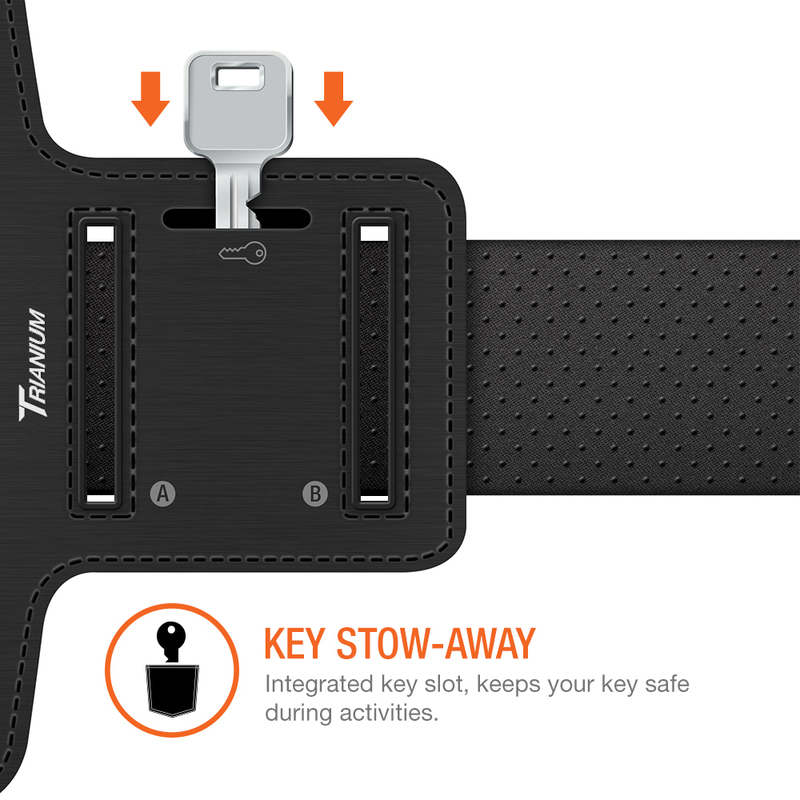 Built-in key pocket; secret compartment stores your house key while exercising. 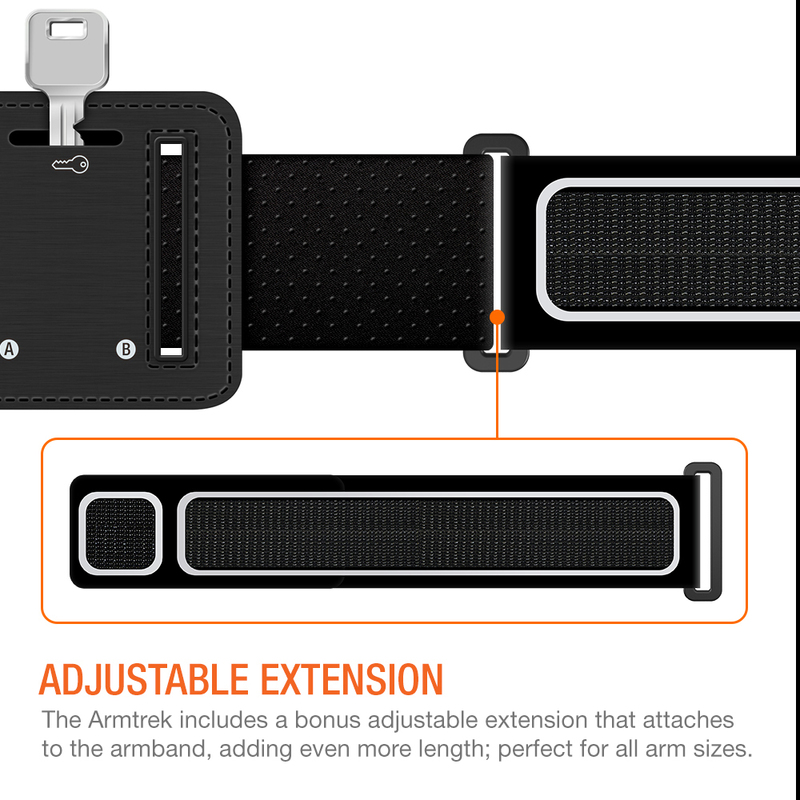 Comfort-grip keeps the band firmly on your arm during workouts and running. 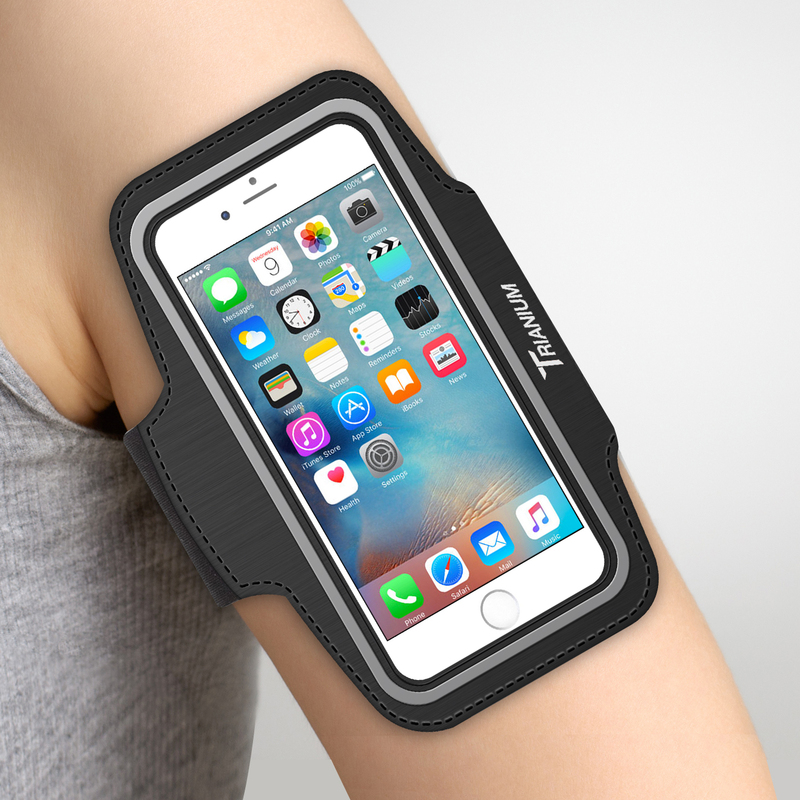 Headphone and charger cutouts allow direct access to the phone through the armband. 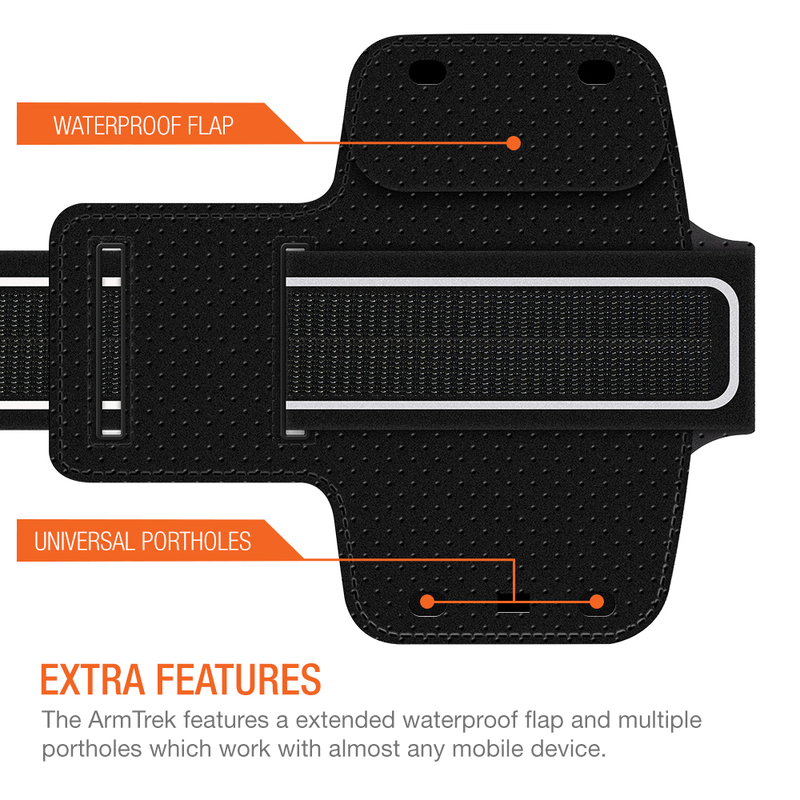 LIFETIME WARRANTY: Trianium offers maximum protection for the life of your ArmTrek Pro Amrband.